This section is dedicated to existing electric balalajkas around the world, as of today I have recieved pictures and information along with permission to publish them here for about 10 different electric balalajkas. 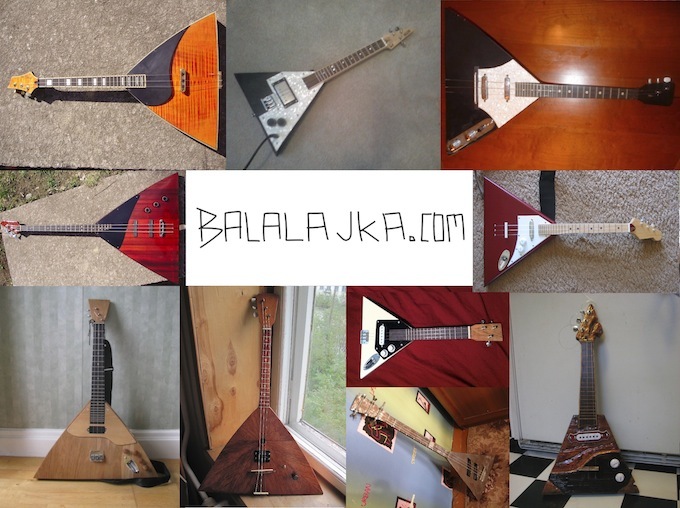 I would be more than happy to add more, so if you have an electric balalajka, mail me! Notice: The pictures of other peoples balalajkas has been published with their permission - for use of their materials you will have to ask them! If you are looking for ideas for your own build, check through these different models and take a look through what I have written in the basic category.